It is a non-migratory freshwater species, occurring in streams and occasionally in lakes in north-west Europe. 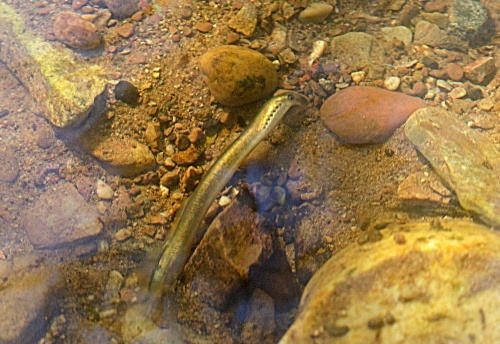 Like other lamprey species, the brook lamprey requires clean gravel beds for spawning and soft marginal silt or sand for the larvae. It spawns mostly in parts of the river where the current is not too strong. 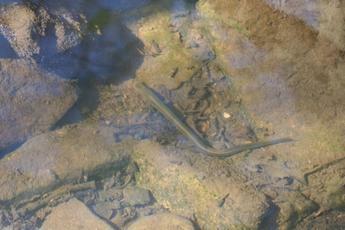 The Brook Lamprey has declined in some areas of the UK but is relatively widespread and common in parts of England. In Scotland it is generally absent north of the Great Glen. Red Data Book species. Lamprey by Wendy Lee. Blackbrook, Shepshed.